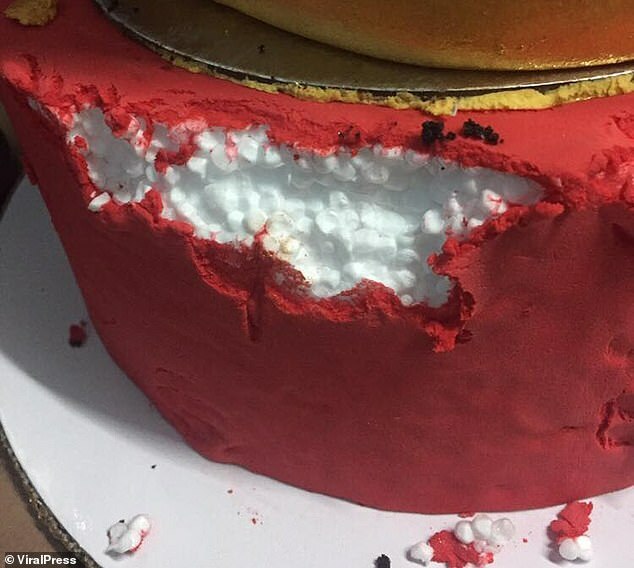 A heartbroken Filipino bride had her caterer arrested after cutting into her wedding cake – only to find it half of it was made from polystyrene foam. 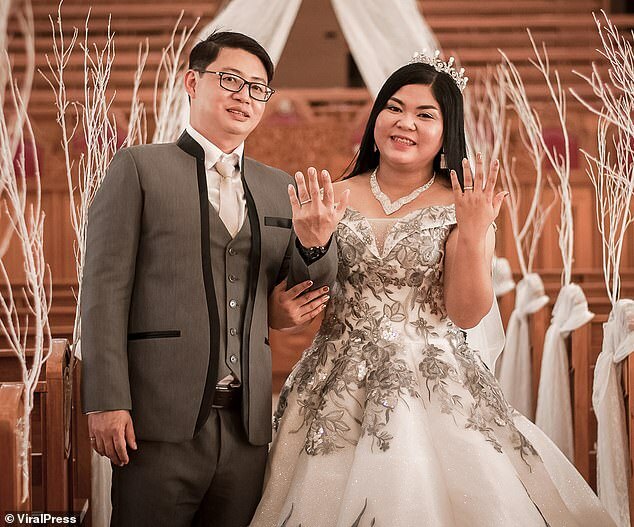 Shine Tamayo, 26, and her partner Jhon Chen, 40, had paid 140,000 pisos (£2,100) to their wedding planner to supply food and decorations at their reception in Pasig City, the Philippines. 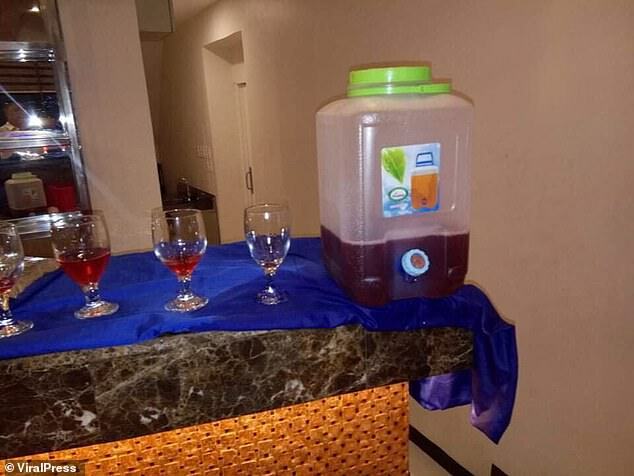 However, upon arrival after the church ceremony, they discovered that not only was there no food for their guests – their two-tiered dessert was a fraud. When Ms Tamayo sliced through the icing, she discover it had been stuffed with polystyrene. 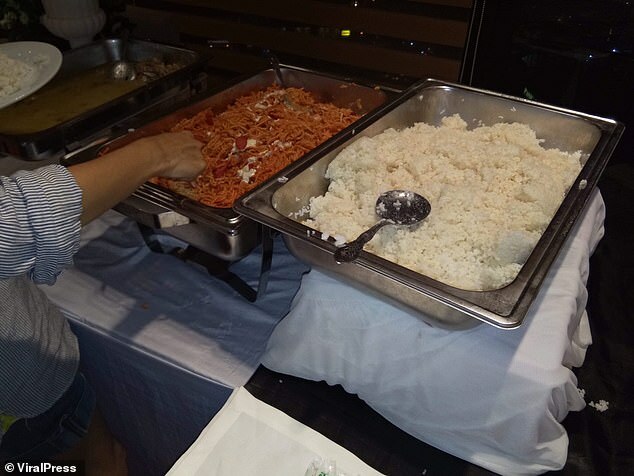 She was so distraught that guests took her – and their caterer – to the local police station. 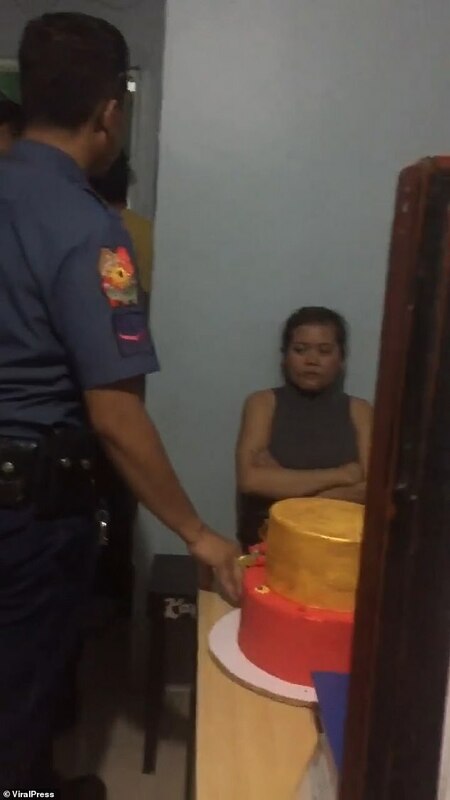 Officers inspected to two-tier wedding cake – confirming that the base was made entirely from foam wrapped in red icing – and questioned wedding planner Krissa Cananea. 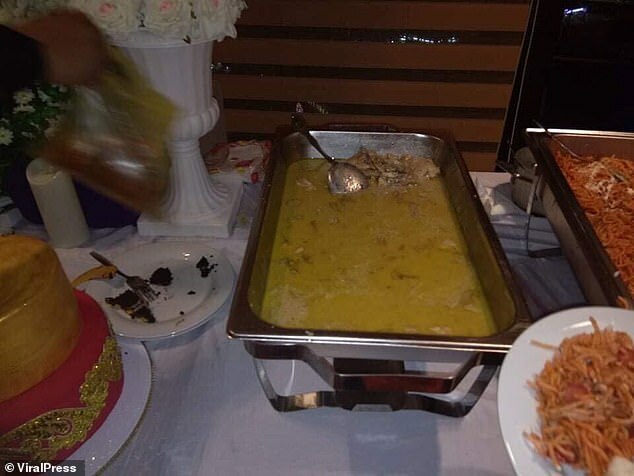 Ms Tamayo said today: ‘The woman we paid to do the food has ruined my wedding. She’s a liar. She always asked me for money and I always gave her what she needs because I wanted my wedding to be perfect. ‘I will not accept sorry from her, an apology is not good enough, she needs to go to jail because she ruined my wedding. 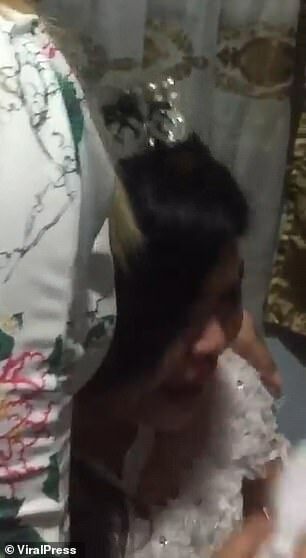 Officers from the Pasig City Police Station confirmed that Cananea had been arrested on suspicion of Estafa – a form of fraud – and released. 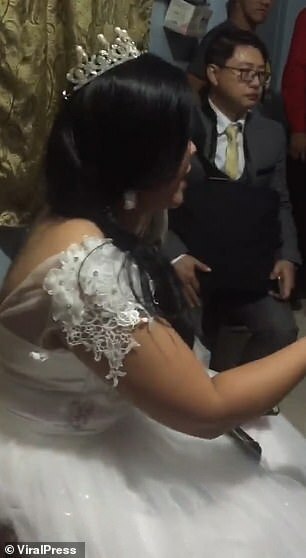 A spokesman said: ‘The investigation into the wedding fraud is ongoing. 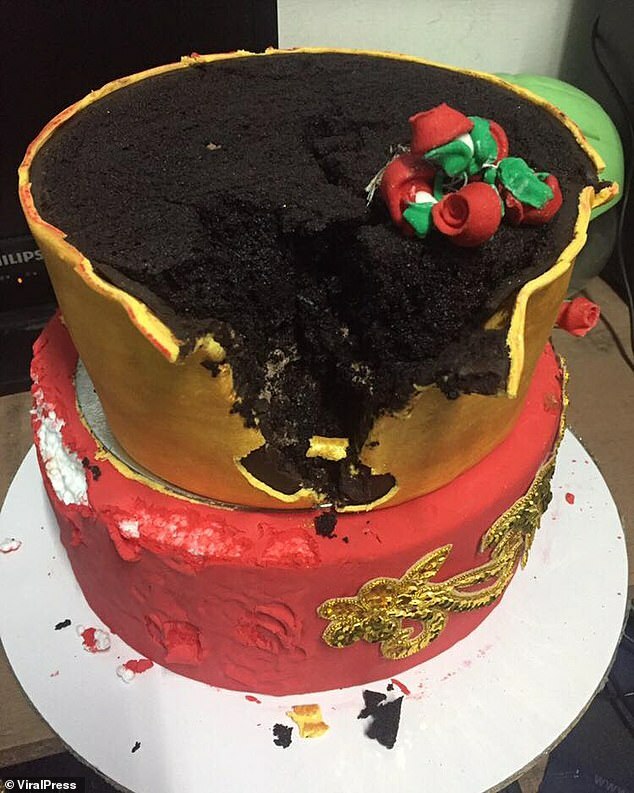 The bride was very distressed by her cake and the food. ‘We have confirmed that a large amount of money was paid for the service which was not delivered adequately.